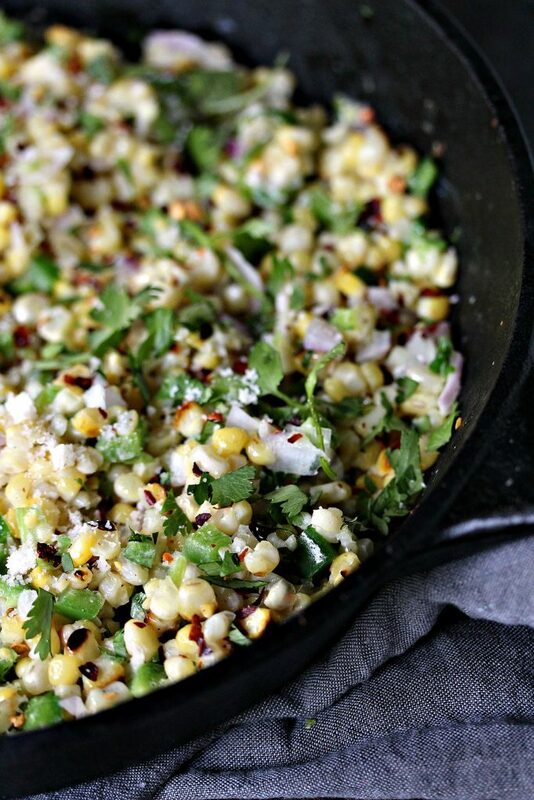 This Mexican Street Corn Salad is the perfect mix of sweet, salty, and spicy. 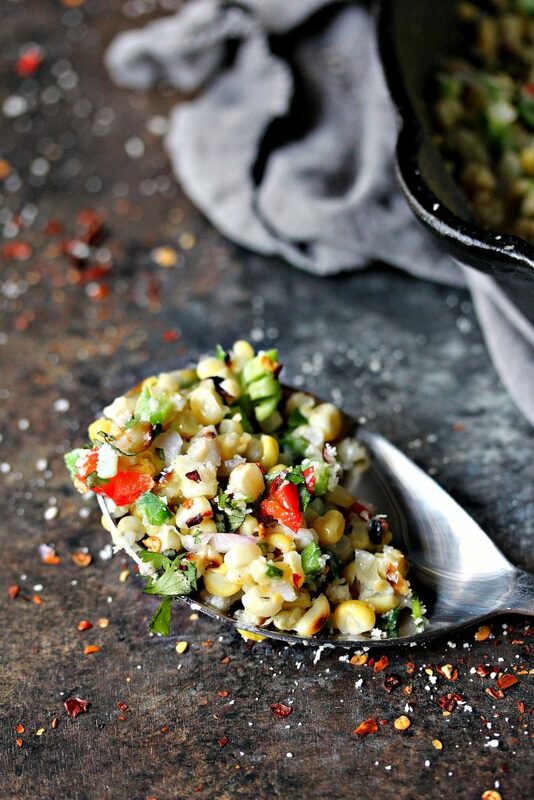 It’s all combined to make an amazing Esquites recipe that will satisfy your corn cravings. 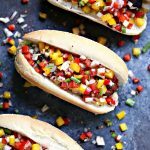 I’m here to declare my undying love for corn on the cob recipes. For me, summer doesn’t really begin until corn season. It’s my favourite of all the seasons. Honestly, I think they should redo the current seasons. I think we should have Fall, Winter, Spring, Summer, and Corn on the Cob. I’m not even kidding. Let’s make that happen. I just happen to live in a place where we grow THE BEST CORN ON THE COB IN THE ENTIRE WORLD! Yes, I screamed that. I don’t even care. Bite me, “all caps” haters. Speaking of biting, don’t you just want to sink your teeth into this Mexican Street Corn Salad. It’s SO freaking good. It makes people crazy and talk in all caps. I’m a serious sucker for all things corn. It is, by far, my absolute favourite vegetable. I love that sweetness in every bite. I cannot get enough of it during corn season. This girl loves hers slathered in butter and salt. It’s really the only thing I like to put salt on, besides french fries. Butter, well, I put that on ALL THE THINGS! Sorry, it’s not my fault. The corn made me do it!! Okay, in all seriousness now, I freaking love corn season more than life itself. 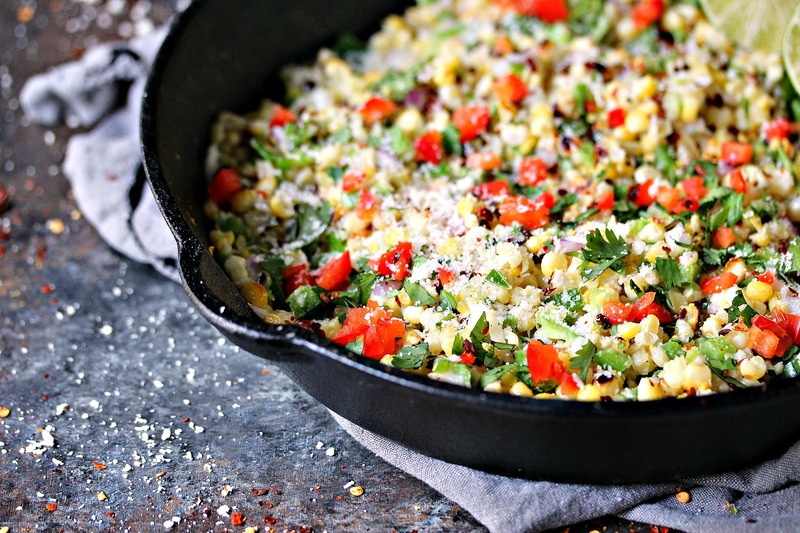 I have so many recipes I love making during the short time corn is in season. One of my favourite things to make is Mexican Street Corn. Any time we attend summer festivals or visit food trucks I immediately look for vendors with Street Corn. 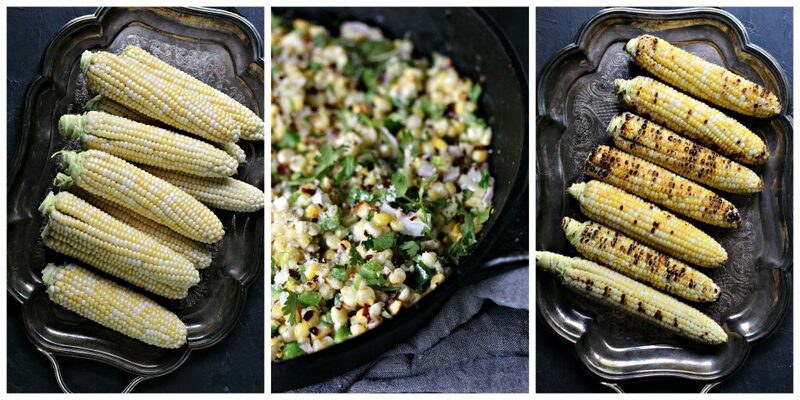 If you have never enjoyed Mexican Street Corn you’re really missing out. It’s utterly delicious. I mean it, you will flip your lid when you taste your first bite of Elotes. One of the really cool things about Mexican Street Corn is you can take it a step farther and make Esquites. 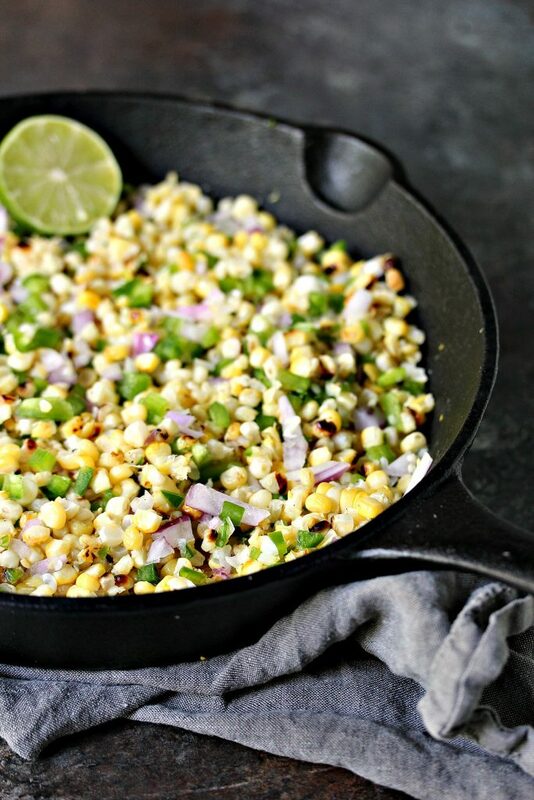 It’s basically Mexican Street Corn taken off the cob. Yum! I always like to char mine on the grill so it really amps up the flavour. I cook 99% of my Elotes on the grill as well. 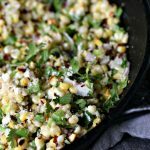 For this recipe, I charred the corn on the grill, then finished it in a skillet. The end result is absolute perfection. 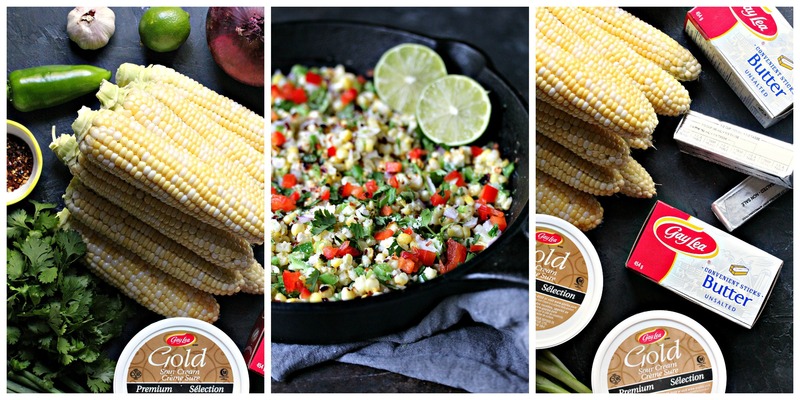 You get that beautiful char of grilled corn, the silkiness from the sour cream and butter, and the spicy kick of that makes every bite heavenly. You can dress yours up any way you like. Some people love mayo in theirs, some love sour cream, many like red pepper flakes, and most people finish theirs with cilantro. If you can find Cotija cheese or Feta cheese please use those. If you live in the boonies like many of us do a good quality Parmesan cheese will suffice. However you choice to spice yours up, be sure to use good quality ingredients. I used Gay Lea Gold Sour Cream and Gay Lea Unsalted Butter Sticks for mine. Quality is so important for a recipe like this. Gay Lea Gold Sour Cream is available in Canada and I highly encourage anyone with access to it to give it a try. It’s SO good. I’m not normally a sour cream girl but I love this stuff. It’s creamy and absolutely delicious! You can also add mayo if you like it. It is included in this recipe but if you don’t like it feel free to omit it. It will still taste amazing. I also used Gay Lea Unsalted Butter Sticks for this recipe. I LOVE their butter. I used it for years and years before becoming a brand ambassador for them. It’s perfection. 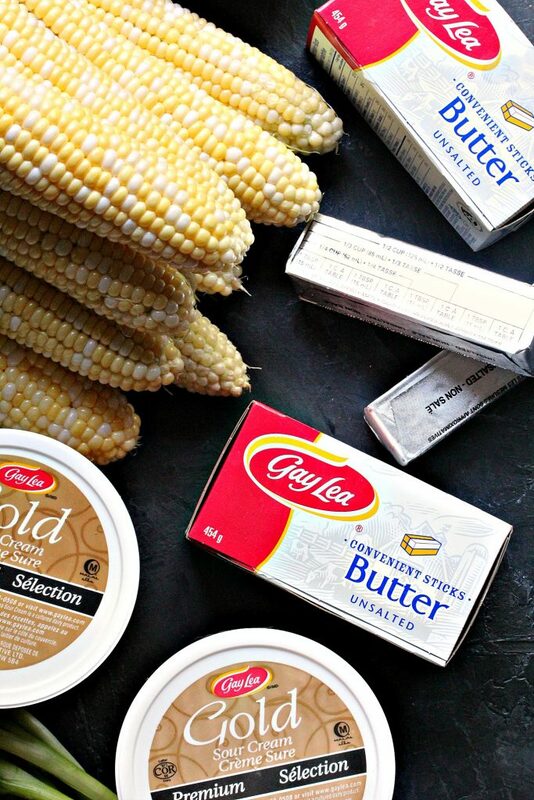 You can buy different versions of butter from Gay Lea. They have lots of options: Salted, Unsalted, Convenient Butter Sticks, and even Stirling Creamery Butters. 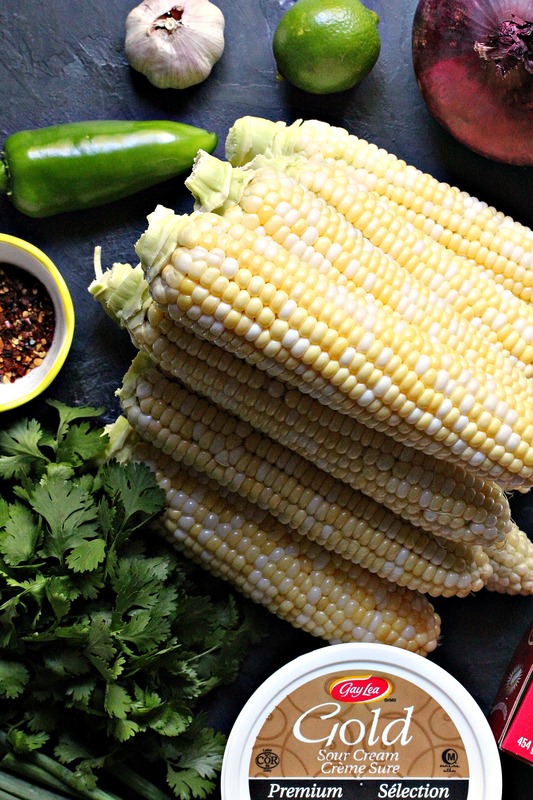 If you love Mexican Street Corn as much as I do be sure to make TONS of it during corn season. You will not be sorry. Whip it up every chance you get. 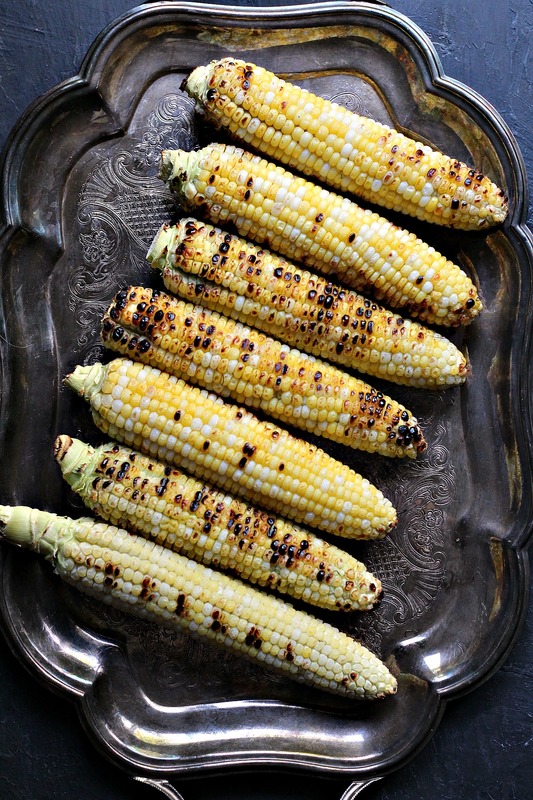 Then you can use some of the grilled corn to make this recipe. 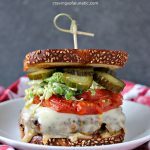 You can get super creative and amp up the flavour with all kinds of fun ingredients. Let your inner creative child loose and have fun with your food. You can make a super mild creamy version of this, or a killer authentic version, or go nuts and pile on the spice. No matter how you make it be sure to make LOTS and invite me over. Buy extra napkins. I’m sort of a messy eater. I’d apologize but I’m too busy shoving more Esquites in my face. This Mexican Street Corn Salad is the perfect mix of sweet, salty, and spicy. 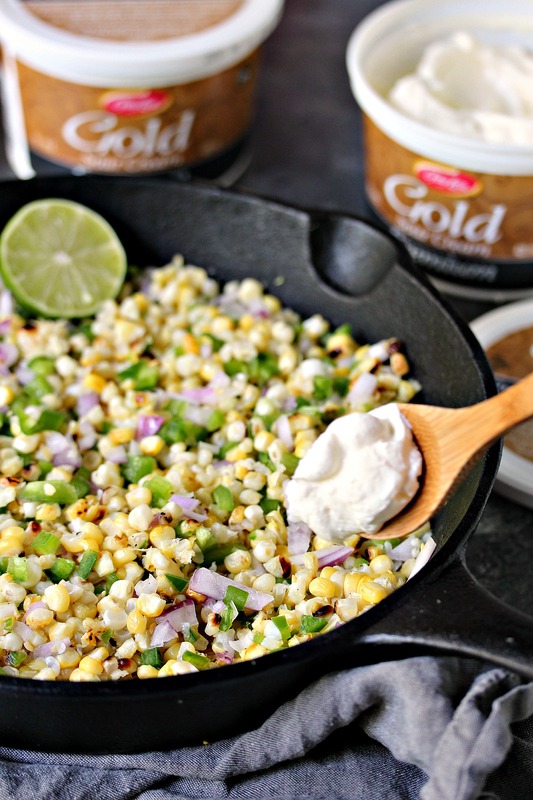 It's all combined to make an amazing Esquites recipe that will satisfy your corn cravings. Preheat the grill to high heat, place corn on the cob directly on the grill grates. Grill for 8 to 10 minutes, turning occasionally to char each side. Remove from grill and set on a platter. 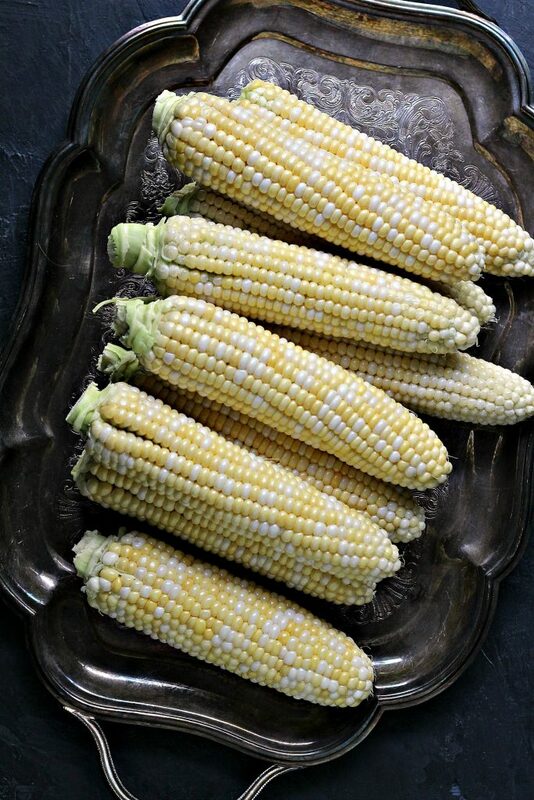 Remove kernels from the cob, the easiest way to do this is to hold the end of the cob with a dish towel and use a good tomato knife to slide down the ears to remove all the kernels. I actually did mine right over the cast iron pan I used to cook this. 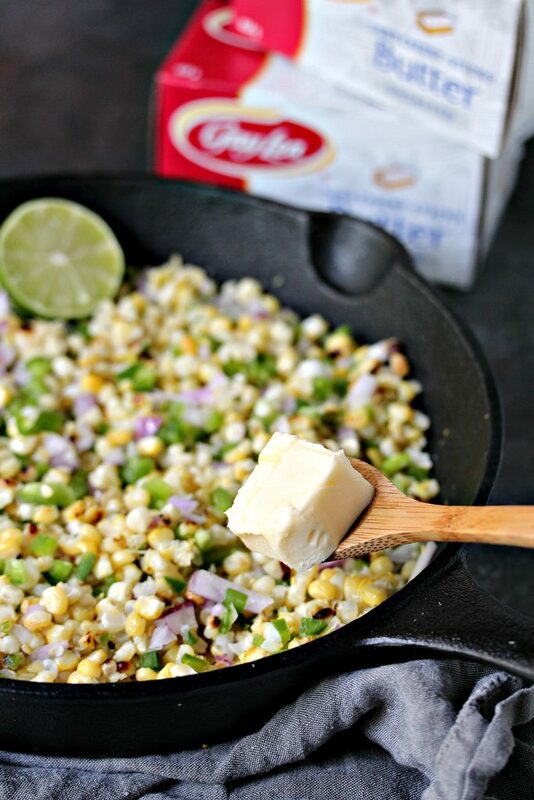 Once all the kernels are removed add them to a grill safe skillet (cast iron works perfectly) and add butter to the pan. Cook directly over medium to high heat. Stir occasionally. Once it starts to sizzle add the sour cream, mayo, lime juice, onion, Jalapeno peppers, and garlic. Stir while cooking until everything is smooth and starting to brown slightly. This should only take a few minutes (3 to 5, depending on your pan and grill). Remove from heat safely. Add cheese, salt, pepper and anything else you may want to add in like hot red peppers or extra spice. Toss fresh cilantro over top. You can also add extra red pepper flakes, cheese, or lime at this time to suit your own taste. Serve with a big old corn loving smile! Cojita cheese is preferred but you can use Feta or Parmesan if you don't have access to Cojita in your area. Since many people dislike cilantro, you can substitute parsley if you need to. If you have access to fresh hot peppers it makes this recipe sing. Dice them finely and put a ramekin filled with them on the table so people who like extra heat can add it to theirs. 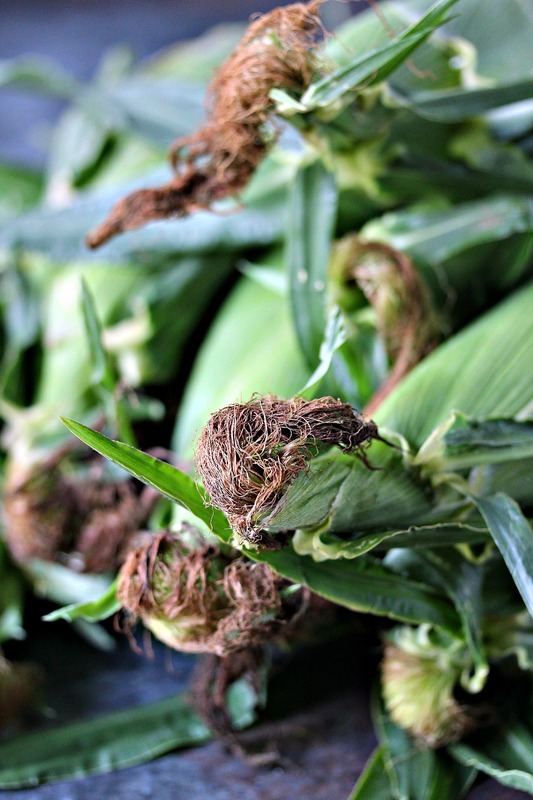 If fresh corn is not in season you can substitute frozen or canned corn if you need to. What’s your favourite thing to eat at summer festivals? 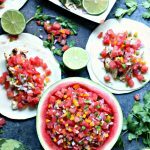 PIN THIS TO YOUR FAVOURITE SUMMER RECIPE BOARD! OR PIN THIS SPICY VERSION TO YOUR FAVOURITE SUMMER BOARD! Check out my recipe index for more amazing recipes. 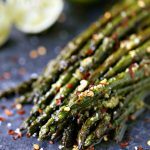 You can find more vegetable recipes and tons of summer recipes. I LOVE esquites! One of my favorites! So many great flavors are in this! It looks so good! 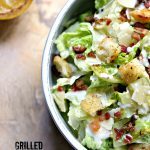 This is one of my favorite salads of all time – I make it a lot! Can’t wait to try yours! 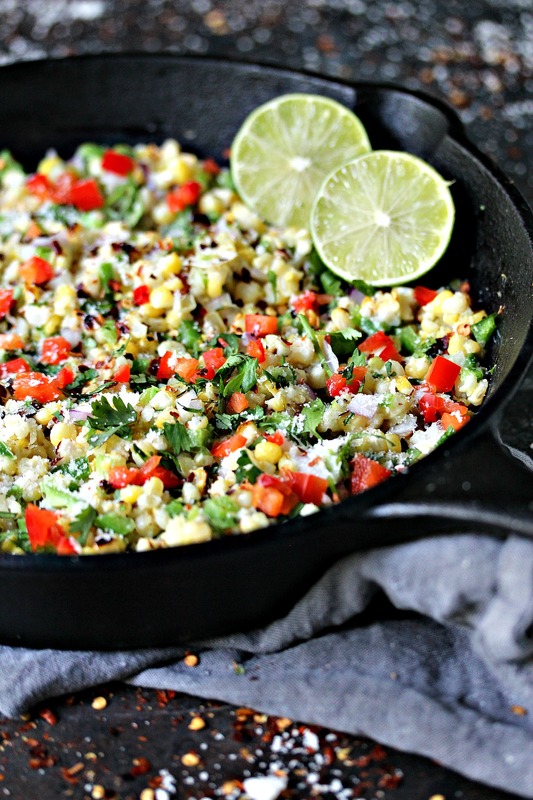 I adore Mexican Street Corn! So this is going to be a quick favorite! I am with you with corn being deserving of ALL CAPS! How can you not be shout-y when it comes to fresh corn?! It’s worthy of all of the excitement. I’m excited about this Esquites!! The farm around the corner from me is just now harvesting corn, so I plan to eat as much as possible, in as many forms as possible, until the end of the season. This salad is definitely on my list. Extra butter and cotija for me! This sounds and looks amazing, I can only imagine how it taste! What an incredible salad! 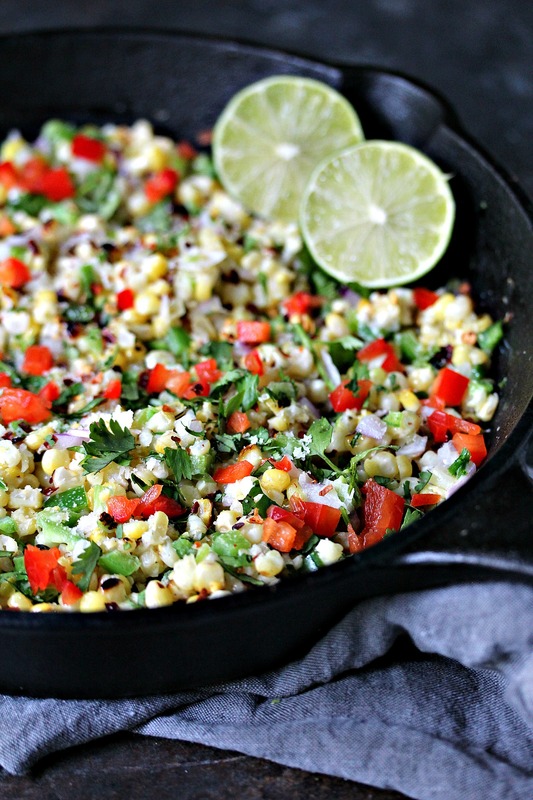 Mexican street corn is one of my favorite things to whip up as a summer side dish!